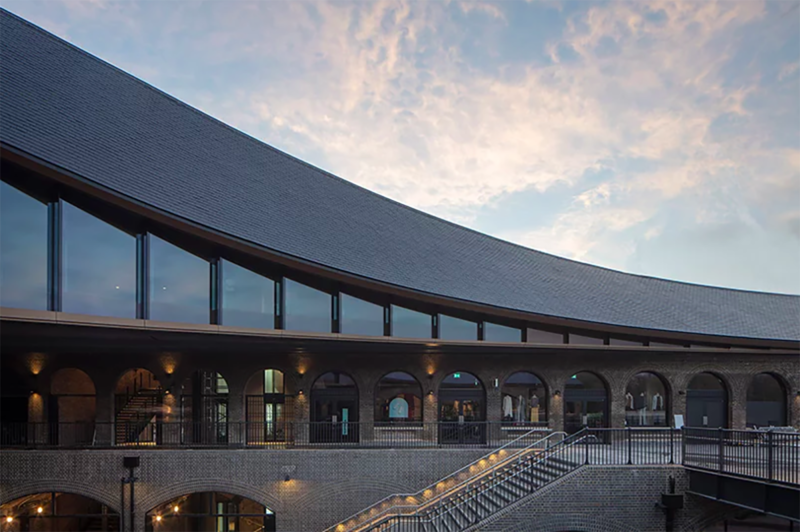 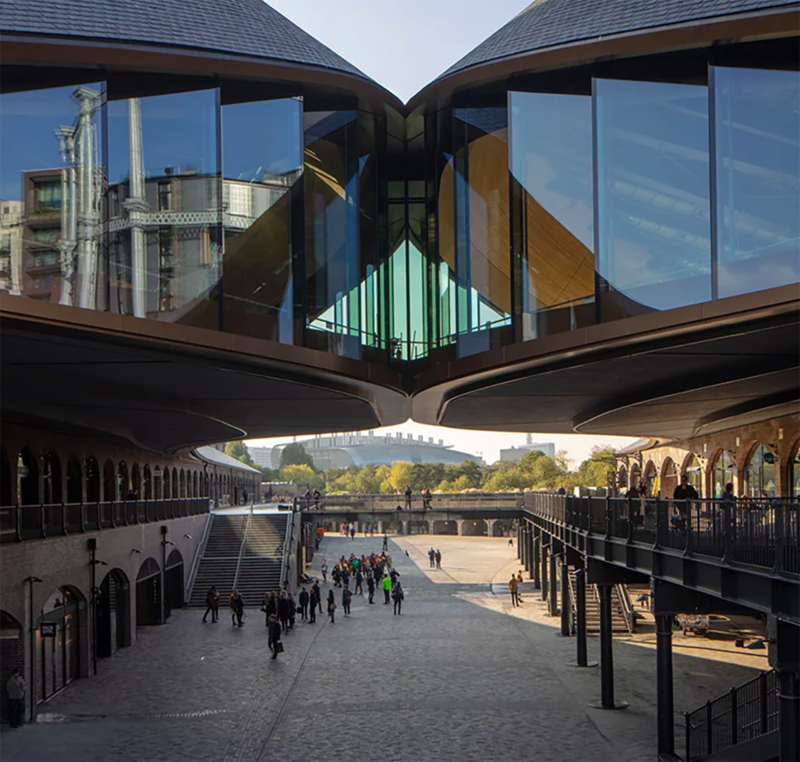 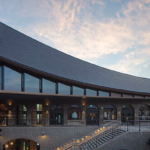 A 100,000-square-foot shopping center in London‘s Kings Cross set within a Victorian-era coal yard officially opened to the public last weekend. 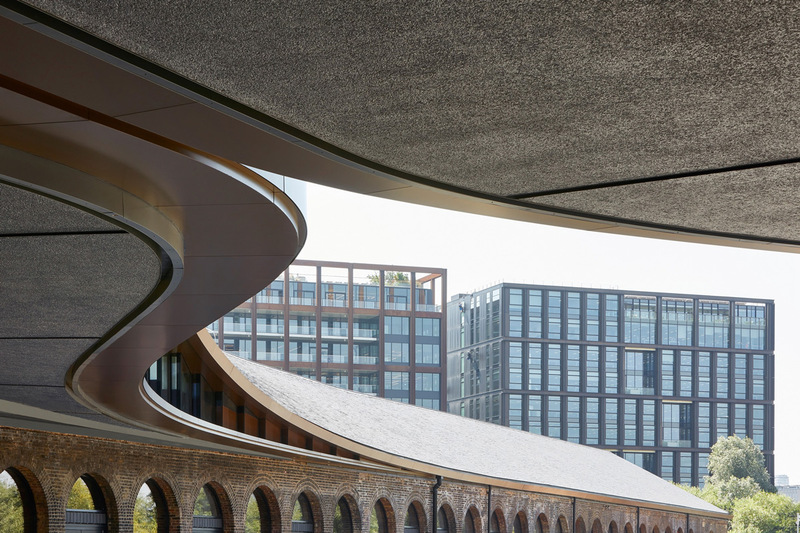 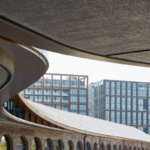 Designed by Heatherwick Studio, Coal Drops Yard completely transforms the former industrial site into the city’s latest shopping district, dropping dramatic, contemporary architecture within the historic brick buildings. 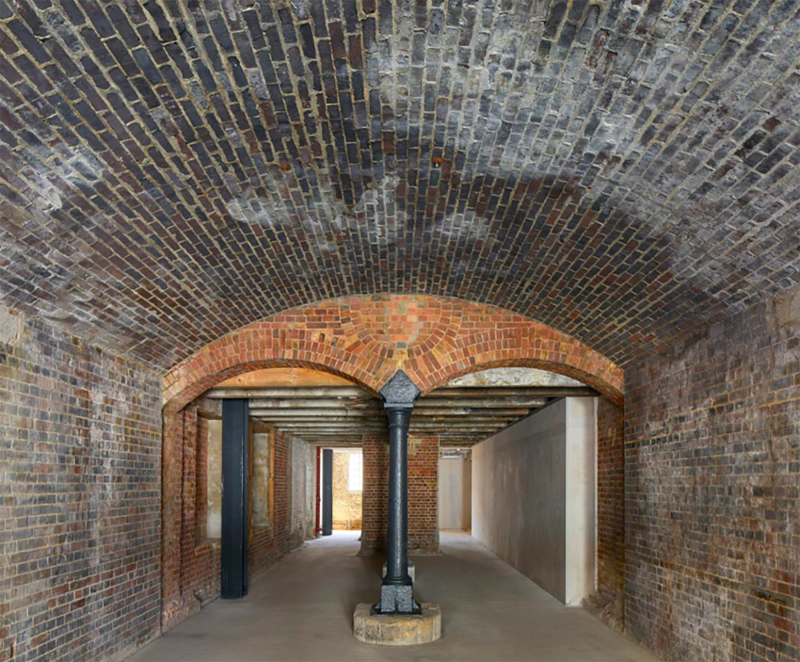 Built in the 1850s, the railway tracks were once used to sort and unload millions of tons of coal as they arrived by train. 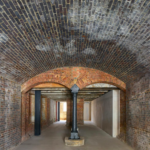 As urban coal consumption declined, the huge cast-iron and brick structures were left neglected. 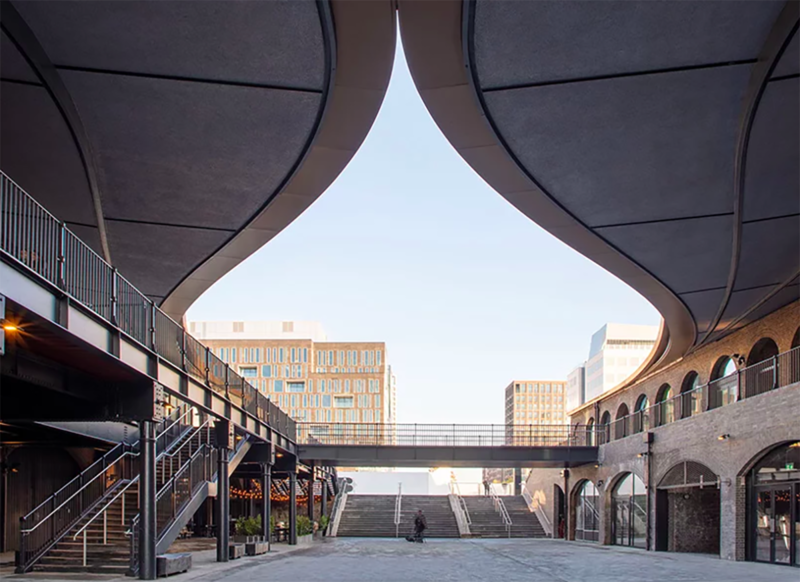 The district’s cobblestone courtyards, ornate ironwork, and rugged brick viaducts survived despite the lack of use, and were revitalized over a two-year period of construction to link a new network of over 50 stores, restaurants, and cafes. 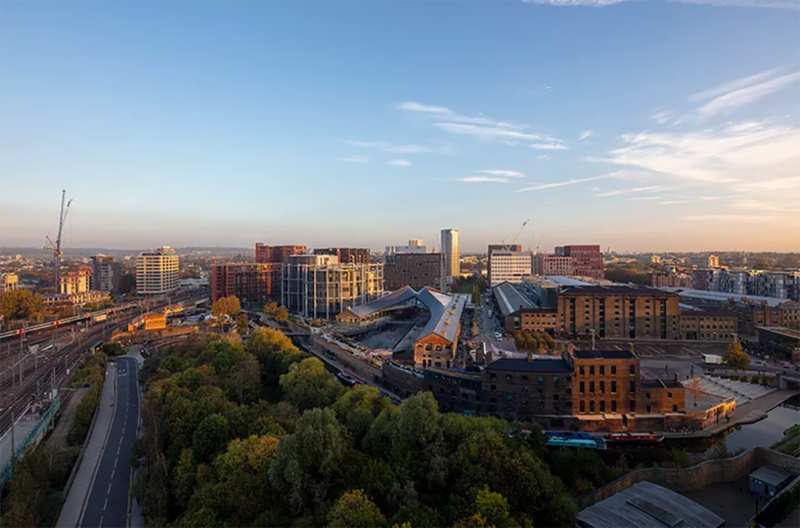 Once considered the underbelly of King’s Cross, the formerly depressed area was long-known for its derelict warehouses, eerie remoteness, and later, for its mob of rowdy night-clubbers. Heatherwick Studio’s restoration revived the area’s distinctive character, turning it into one of Central London’s busiest and trendiest boroughs. 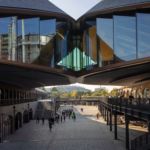 Coal Drops Yard is centered around two cast-iron and brick structures that define the space, both fluid and highly technical. 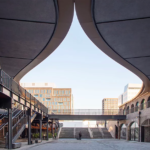 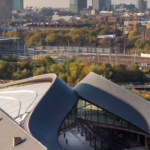 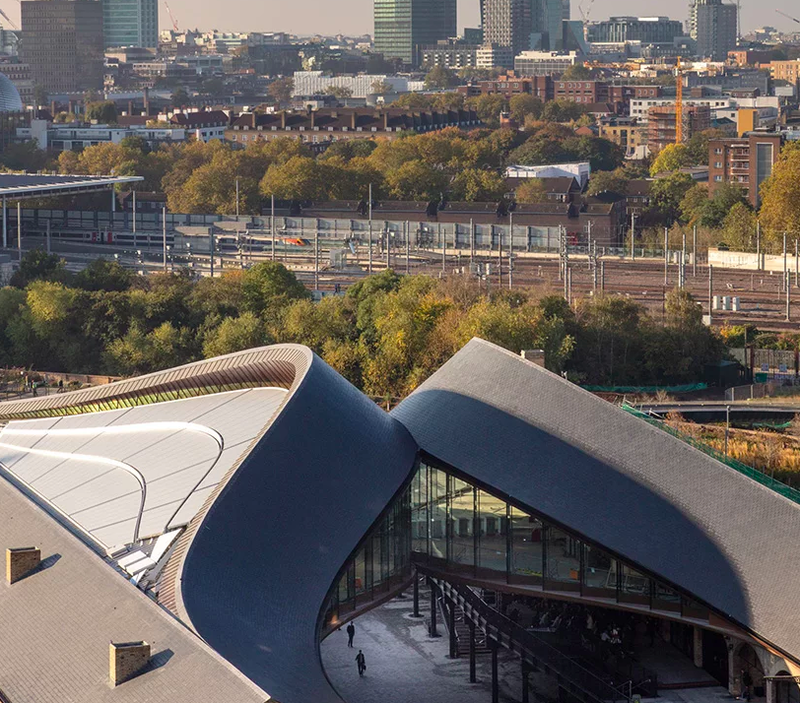 They include dramatic curvilinear roofs that rise upward and stretch out toward each other, creating a large covered outdoor space and a hub for the entire shopping district. 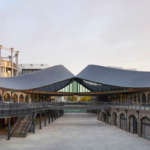 Within the historic coal drops where incoming trains once unloaded their cargo, the individual retail and food spaces are built out to uniquely take advantage of the site’s low-rise structures, Victorian arches, canal-side views, and gritty charm. 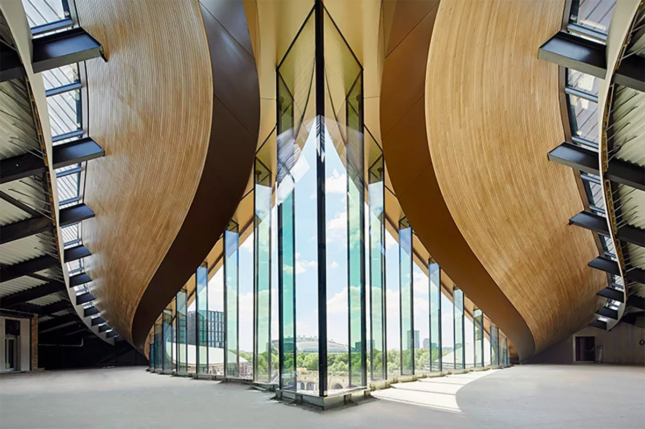 Heatherwick Studio has already made a substantial impact on both Central London and Manhattan. 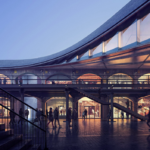 Their upcoming projects include a 16-story landmark sculpture in Chelsea’s Hudson Yards, and an innovative park and performance space, Pier 55, along the Hudson River.